About 30 minutes north of Canberra on the road to Sydney. Lake George is an excellent inland soaring site. The primary site used is known as the South launch. It is just to the south of Geary's Gap where the highway heads down to the lake. 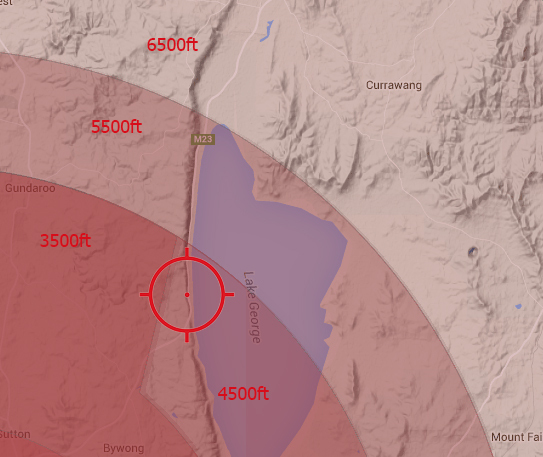 Our secondary launch, Geary's Gap, is currently closed. It is a short 2 minute drive turning off the Barton Hwy onto Harlow Drv, the second right onto Ridge Rd and then as you go through the gate the site is on your right on the escarpment. See the ACTHPA site for current status. At no point should anyone fly over the house or land over the fence adjacent to this launch. Access is from Weereewa Lookout carpark. The launch is a small hike up the hill from the eastern side of the carpark near the fence. The path will take you through a small gate (please keep it closed) and onto the ridge. A picture is attached below that gives you an idea of the layout of the land. If it is your first time at the site, please find a duty pilot, safety officer or contact the club to have a site briefing prior to flying. 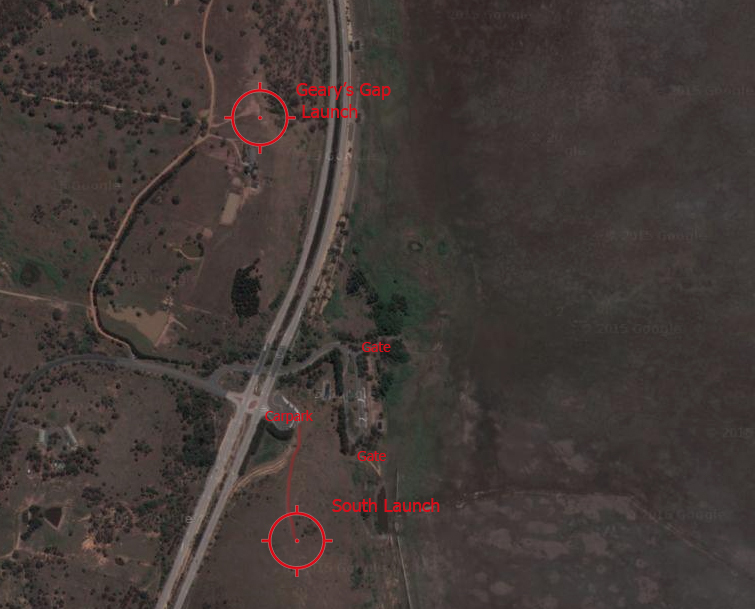 The following link is some information you should be familiar with regarding the South Launch site: Lake George - South.pdf.